Read the book Henry and Mudge: The First Book. Subject: The subject of a sentence is the person, place, thing, or idea that is doing or being something. Predicate: The predicate is the part of the sentence that tells what the subject is or does. Henry thought Mudge would be with him always. When Henry was at school, Mudge just lay around and waited. They ate breakfast at the same time. Divide students into two groups. One group will be “Subjects" and one group will be “Predicates." Give each student a slip of writing paper. The “Subject group" should write a subject on their slip of paper. Remember that it can be a person, place, thing or idea. Examples could be: The brown dog, Mother, The girl in the pink dress, The striped ball, The white fluffy cloud, etc. The “Predicate" group should write the action part of the sentence making it as descriptive as possible. Examples could be: skipped in the grassy park, jumped from the tall building, rolled around in the cold white snow, stood very still in the dark room, woke everyone up in the house. When completed put the subject strips of paper in one container and the predicate strips in another container. Each student should take one strip of paper from each container. 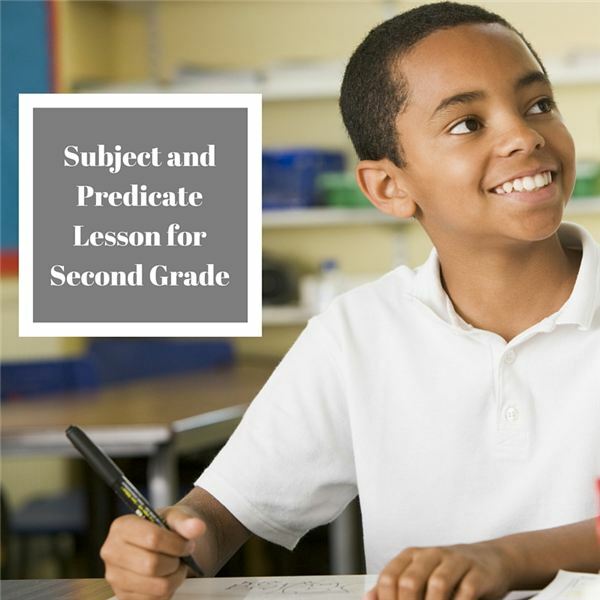 Take turns reading the subject and predicate together as one sentence. You will have some crazy sentences and laughs while learning. Students should write four sentences about their families. Make sure each sentence has a subject and a predicate. Trade papers with a partner the next day. Circle the subjects in red and the predicates in green. Share with the class.